Animal lovers, accessorize with a shimmering elephant pendant! 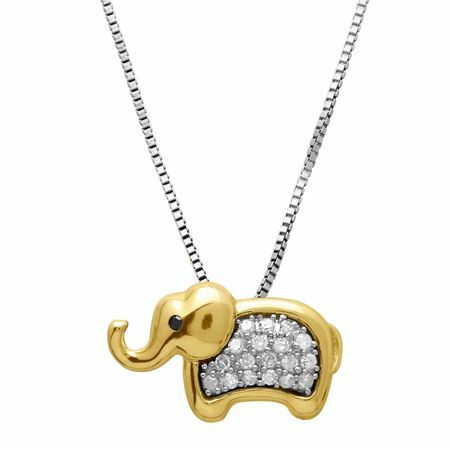 An adorable, stylized elephant is lined with round-cut diamonds totaling 1/6 ct, all set in sterling silver and 14K gold. Piece measures 3/8 by 5/8 inches. Comes with a sterling silver 18-inch box chain.